Wisconsin Railroads And Railfanning In "The Badger State"
Historically Wisconsin railroads have featured everything from intermodal and ore traffic to main lines and light density branch lines (many of these served grain elevators or other agricultural traffic). 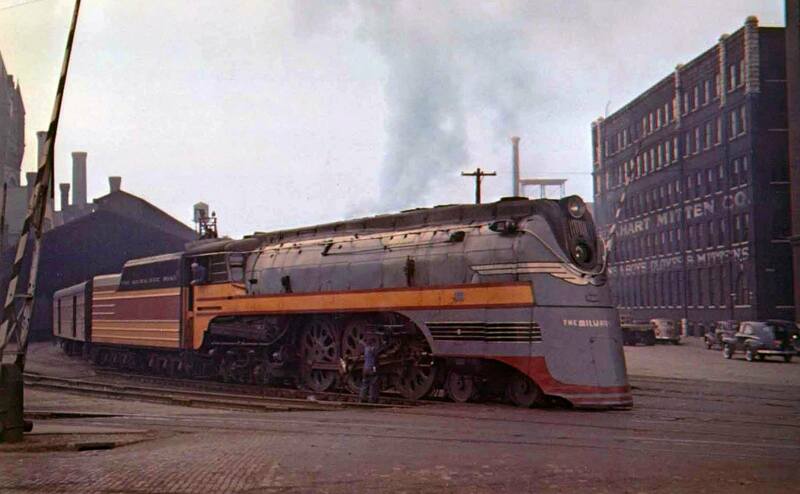 Perhaps, though, what Wisconsin railroads are best remembered for is the Chicago, Milwaukee, St. Paul & Pacific Railroad whose nickname, The Milwaukee Road became the railroad’s unofficial adopted name, forever putting the Milwaukee on the map. Today, Wisconsin continues to feature much of the same traffic as always (containers, coal, ore, grain, etc.) 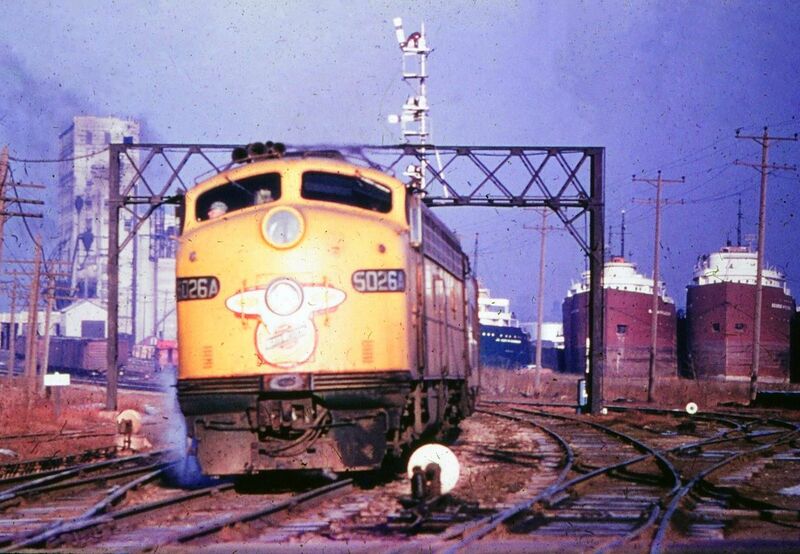 except now different railroads serve the state such as BNSF Railway, Canadian Pacific, Union Pacific, and Canadian National instead of the Milwaukee Road, Chicago & North Western and the Duluth, Missabe & Iron Range. Interestingly, despite the state's size and the fact that several thousand miles of rails are still in use there are only a few small railroads serving Wisconsin. In any event, throughout the article here there are links provided to other pages of the site here which relate to Wisconsin railroads. Wisconsin railroads date back to 1847 when the Milwaukee & Waukesha Railroad was chartered by Byron Kilbourn to connect Milwaukee with Madison. While construction of the railroad began two years later in the fall of 1849 soon after it changed its name before even beginning operations, to the Milwaukee & Mississippi Railroad. By late November, 1850 the M&M had five miles open and operable on a wide, 6-foot gauge line running west from Milwaukee. By 1860 the M&M operated a system of 238 miles although a year later due to financial troubles it fell into receivership and soon emerged as the Milwaukee & Prairie du Chein Railway. The M&PdC operated independently until late 1867 when it was purchased by the Milwaukee & St. Paul Railroad, an early predecessor of the venerable Milwaukee Road (whose full name was the Chicago, Milwaukee, St. Paul & Pacific). Following the construction of the M&M, with ports along Lake Michigan and the natural resources and agriculture traffic available in Wisconsin railroads quickly flocked to the Badger State attempting to tap these resources. 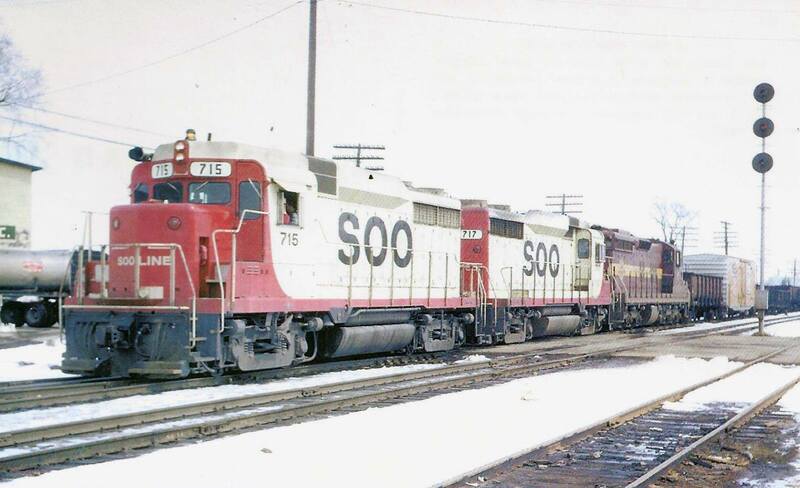 In the succeeding years several classic railroad companies would operate within Wisconsin. Today, many of the hundreds of miles of branch lines laid down by the C&NW and Milwaukee to serve grain elevators and other agricultural business have been abandoned although some still operate under names like the Wisconsin & Southern, the historic Escanaba & Lake Superior Railroad, Wisconsin Northern Railroad, and the Tomahawk Railway. The key main lines that see movements of things like coal and intermodal are the realm of BNSF, Union Pacific, Canadian Pacific and Canadian National. Because Wisconsin was another of the granger states it was hit hard by abandonments and service cutbacks between the 1960s and 1980s. Where once there were numerous branch lines sprawling all across Wisconsin today just 45% of the state's original rail infrastructure remains in use. During the 1920s, at the height of the railroad industry the state boasted a rail network of more than 7,500 miles. 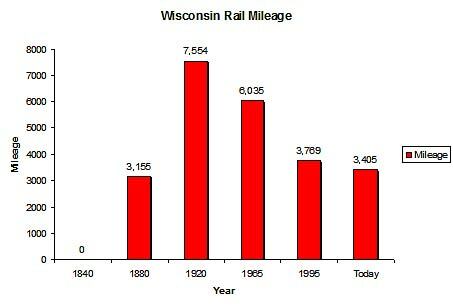 For more information on the Badger State’s rail mileage over the years please have a look at the chart below. In all, Wisconsin railroads offer a little of everything whether you’re interested in main line railroading or just a relaxing ride behind a steam locomotive while watching Wisconsin's bucolic countryside roll by. While the CMStP&P's famous Hiawathas or the C&NW's 400s no longer fly through the Heartland at 100+ mph Amtrak still uses the name for its passenger operations between Chicago and Milwaukee, and the Empire Builder makes several stops in the state. 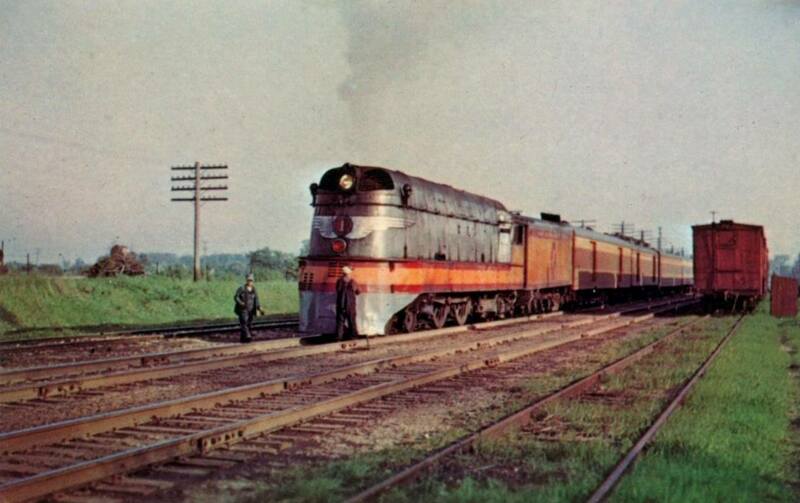 To learn more about the historic streamliners that once operated in Wisconsin please click here to visit the section of the site covering the subject. For more reading about Wisconsin's railroad history you might want to consider a copy of Steam and Cinders: The Advent of Railroads in Wisconsin from author Axel Lorenzsonn. The book includes over 300 pages of information and historic photographs covering the state's rail history, particularly during the early years of the mid and latter 19th century. If you are interested in the state's railroads and how many of the classic lines came to be found in Wisconsin this is certainly a book you should consider checking out. In any event, if you're interested in perhaps purchasing this book please visit the link below which will take you to ordering information through Amazon.com.